Army Reservists will be on stand-by from February 10 to deal with the fallout from a no deal Brexit, ministers confirmed today. 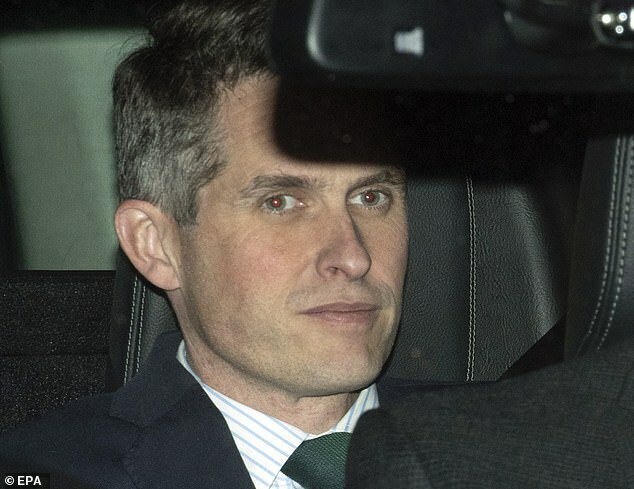 The part-time soldiers will be about 10 per cent of the 3,500 strong force announced by Defence Secretary Gavin Williamson before Christmas. The announcement prompted claim ministers are preparing for ‘civil unrest’ by deliberately shaking up Britain’s political order by refusing to rule out allowing a chaotic no deal Brexit. Troops will be used to tackle ‘potential immediate impacts’ from a no deal Brexit that could damage the ‘welfare, health and security of UK citizens and economic stability of the UK’. Defence Minister Mark Lancaster confirmed the call up in a written statement to Parliament today. Labour MP Ian Murray, who supports the anti-Brexit Best for Britain campaign, said: ‘It is extraordinary that we could have soldiers forced to respond to chaos at our ports and airports, managing traffic queued for miles on the motorways, and helping police officers keep public order in the event of major shortages. ‘A ‘no deal’ scenario should be ruled out immediately by the Prime Minister, to avoid this chaos. There is absolutely no parliamentary support for this. 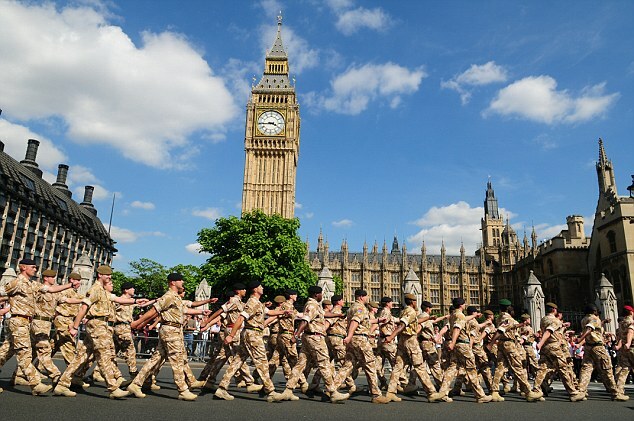 Mr Lancaster told MPs the reservists could be used to reinforce regular units, in liaison officer roles, providing specialist skills and reinforcing regional points of command to ensure they stay open 24 hours a day. The move is the latest part of no deal contingency planning which has also seen advice to citizens to prepare themselves and their families. The Department for Transport has arranged contracts worth millions of pounds for additional ferry capacity in case the main Dover-Calais route breaks down. Transport Secretary Chris Grayling was ridiculed for handing a £13.8million contract to Seaborne Freight, a new firm which owns no ships and has never run a cross- Channel route before. Health Secretary Matt Hancock has chartered a flight to bring in emergency medical supplies for the NHS and boasted he is the world’s biggest fridge customer to ensure drugs can be stockpiled.